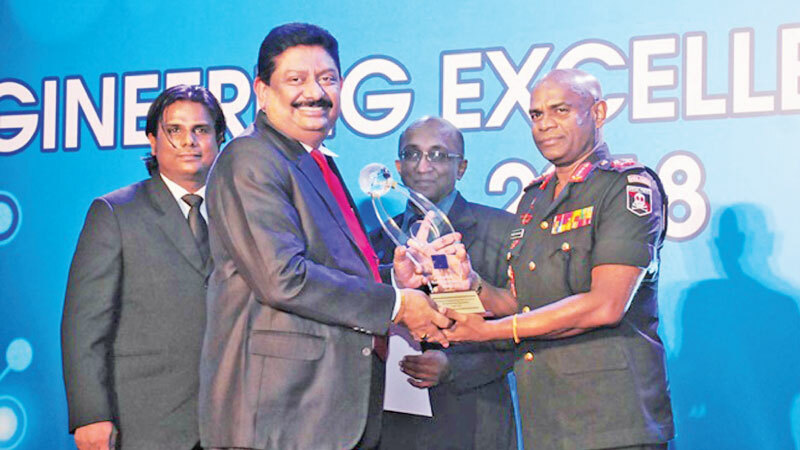 Venora Lanka Power Panels (Pvt) Ltd., of the Biyagama Export Processing Zone was successful in clinching the Engineering Excellence Merit Award - 2018 in the Manufacturing/Large Category at the Sri Lanka Engineering Excellence Awards - 2018 ceremony, held recently at the Lotus Hall, BMICH. Having realized the necessity for new developments that could benefit society or even the world at large, the team of talented Engineers at Venora Lanka, developed a smart, user friendly SMS Control and Alert System in place of the conventional Electrical Power & Control Panel Systems, offering advantages to the user. Venora Lanka was of the firm belief that Sri Lanka Engineering Excellence Awards - 2018 would be the ideal platform to introduce its innovative talents. The leap of faith taken by Venora Lanka by placing its confidence in the high professionalism of the Institution of Engineers, Sri Lanka (IESL), being the apex body for professional Engineers in Sri Lanka, was rewarded by the “Engineering Excellence Award - 2018.” Venora Lanka having commenced its operations in 2015, has been successful in exporting Low Voltage Power Panels, Capacitor Banks and Industry Control Panels to the Maldive Islands, Bangladesh, Seychelles, Kenya, Ethiopia and Myanmar, contributing to the export drive led by the Government.